This week we announced to the members that, after much prayerful deliberation, the elders have decided to make Sunday, June 10th, the last Sunday that we will gather at 5pm (This will not affect our morning gatherings). We started the 5pm this past October. Since then, that gathering has made up approximately 15% of our total Sunday adult attendance, so it has not been a failure. At the same time, it has not taken root, nor opened up more space in the morning, as we hoped it would. The five o’clock hour doesn’t seem to be a particularly attractive gathering time for us, as a church. We know that some of you are fans of the 5pm, but it’s not many of you. While we genuinely want to create as many opportunities as possible for people to grow in Jesus, we believe our limited resources would be better stewarded, for the good of more people, by cancelling the 5pm and reevaluating for the fall. We are currently considering three morning gatherings beginning mid-September. We want to thank the handful of committed volunteers, and band members, that have selflessly sacrificed to make the 5pm happen over the last eight months. Thank you! We will keep you posted as plans come together for the fall. Q: When will the 5pm be cancelled? A: The last 5pm gathering will be held on Sunday, June 10th. Therefore, there will be no 5pm gathering beginning, Sunday, June 17th. Q: What do I do if I’m a volunteer at the 5pm? A: Don’t quit yet! If you are on a 5pm service team, your Ministry Lead will reach out and help get you connected to a morning service team. But, keep in mind, we still have two weeks until our last 5pm gathering. Q: What will we do in the fall? A: We are still deciding, though moving to three morning gatherings is a real possibility. That means we will only have three months (June, July, August) before we’re back to three again in September. Q: Why not change to three morning gatherings now? A: Changing gathering times is no small feat and requires significant coordination and communication. Therefore, it seemed most prudent to not attempt that as we enter summer, but wait until the fall. Q: Does this mean we will never have an evening gathering again? A: No, not at all. We are still open to an evening gathering when timing, circumstances, and the life of our church align in such a way that it makes sense. Though, I will say it would be our preference to be able to have everyone gather at the same time! Let’s pray Jesus would make that a possibility. Q: Will this change how long I can park in the lots next to the building? A: Yes, we’ll be adjusting our parking lot reservation timeframe to end at 2pm on Sundays. So, please ensure you do not leave your car beyond 2pm or you may be ticketed. This isn’t a withdrawal, by any stretch, but a recalibration for more effective gospel ministry. The Lord is at work among us, friends. Let’s pray for the Lord to use this change to shake off any spiritual sleepiness and alert us to the importance of the realities we are swimming in as his people. Together, we are “the household of God, which is the church of the living God, a pillar and buttress of the truth” (1 Tim. 3:15) in Seattle no matter what time, or how many times, we happen to gather on Sunday. Our fundamental starting point is the good news of the gospel, which is that when we were dead in our sins Christ came to rescue us through his death and resurrection and restore us to right relationship to God (Rom 5:8). And from this restored relationship overflows a love that is expressed in all areas of our life – how we spend our time, money, and effort; how we work and play; how we relate to one another and to our neighbors. We live with Christ as our model, who came not to be served but to serve, and to give his life as a ransom for many (Matt 20:28). Throughout Scripture, God speaks of his redeeming work to create a people for his own possession, that we would be set apart, living for His Glory. Ephesians 2:10 says it this way: “For we are his workmanship, created in Christ Jesus for good works, which God prepared beforehand, that we should walk in them.” God has redeemed us and set before us good works that we might display something of His love and glory to the world around us. Jesus says that we are to be light in the world, “so that they may see your good works and give glory to your Father who is in heaven” (Matt 5:16). In being loved by God through Jesus, we are moved by the love we’ve received to love others, within the church and outside of the church. Paul writes to the Thessalonians that they are to “always seek after that which is good for one another and for all people,” (1 Thes 5:15). We seek to both declare and demonstrate the good news of Jesus across Seattle, through our faithful proclamation and service. With this in mind, let’s serve with a humble and joyful posture of heart, working heartily unto the Lord. More details, directions, and registration can be found here. Please register to let us know you’re coming and so we can plan accordingly. Bring your communities and friends! This can seem like a bland hope, but its not. We spent our first four years completely mobile, setting-up and tearing-down every single week. Every piece of equipment that was needed for a Sunday gathering fit into a barrage of boxes with wheels. During the week we had an office in a donated space on the 17th floor of a downtown high-rise. But, the office was so small that all of the staff couldn’t work there at the same time—and we only had four! For midweek classes, or meetings, we met at the Belltown Community Center or in various apartment community rooms throughout the city. In other words, being able to consolidate our base of gospel ministry in our current building has been a game-changer, even amidst its own challenges. With two years left on our current lease, in an inflated real estate market, finding a permanent home in the city is a significant point of prayer. God’s mission for us is to make disciples of all nations (Mt. 28:18-20; 1 Pet. 2:9; Acts 1:8)—across the street and around the world. That happens as we cultivate a heart for the lost and seek to share the good news of Jesus with our not-yet-believing friends, family, neighbors, and co-workers. It is easy for a church to subtly shift to being so preoccupied with its own needs that it neglects the greatest needs of our neighbors—to know and belong to Jesus. Therefore, a second hope we have for the next seven years is to continue to intentionally cultivate a culture that loves the lost and seeks to share the radical news of Jesus. Christians are meant to grow, mature, and develop deep roots in God. That process is called “discipleship” where a follower of Jesus progressively—amidst starts and stops—learns to walk in Jesus’ ways for our joy (Jn.15:11) and his glory (1Cor.10:31). Discipleship doesn’t happen in a vacuum, or merely by reading books or listening to podcasts, but primarily in the context of relationships with others who are seeking the same. By God’s grace, we do have a culture of discipleship in place, but there is more to be done. Imagine if every member of DCC had two to three people they were intentionally investing in to help them grow in Jesus. Our aim is to kneed this even more deeply and fully into the fabric of who we are as Jesus’ people in the next seven years. We know that God’s great redemptive purposes span millennia, continents, ethnicities, ages, genders, socioeconomic statuses and more (Rev.7:9-12). Jesus’ redeemed bride will be a multi-ethnic, multi-generational, multi-socioeconomic people. It will be like that then because that is the kind of people Jesus’ is redeeming now. That means we need to think intentionally and thoughtfully about how to cultivate a diverse people, in Jesus. We need to ask important questions like, “Why is the city, during the week, so often more diverse than the church, on Sunday?” Or, “Are there systemic and historical ways sin has created this bifurcation? If so, how we can intentionally bring healing there?” Believe it or not, as a church, we’re more diverse now than we’ve ever been. But, we know there’s room to grow. So we’re actively navigating these waters in hope, asking Jesus to allow us to grow as a diverse people in the years ahead. I was recently struck by verse four of Psalm 145, “One generation shall commend your works to another, and shall declare your mighty acts….” In his wisdom, God has chosen to spread his fame and saving goodness, in Jesus, as one generation commends him to the next. I suppose this stood out because I recently turned 40. Now that I’ve crossed the 50 yard line I have begun to think about the importance of the next generation—namely students. I’m not saying I’m ready to hang it up! Far from it. But, its never too early to think about those who will be here long after us. How I long to see a generation of young people, passionate about the Lord, convinced of the absolute trustworthiness of the Bible, gripped by the gospel of grace, with lives open to follow his leading. But, that doesn’t just happen. As with everything, intentionality is required. Therefore, another hope for the next seven years is that we are able to implement a plan to reach, equip, and send students, and other young people, for the cause of Christ. If you’re around long enough you will hear us say something like, “We’re not in the city to look down on the city in pride, nor cower under the city in fear, but to love and challenge the city with the reality of Jesus.” We love Seattle. God’s common grace here is staggering, if we have eyes to see. Yet, amidst the beauty, there is tremendous brokenness. So, we want be known for spreading the good news of Jesus, but also known for being good news in our city. Our hope is that this will continue to express itself in the form of expanding mercy ministries, partnership with like-minded churches, integration of faith and work, thoughtful engagement with the arts scene, and more. By God’s grace, we hope our roots sink even more deeply into the soil of this city for its good and the glory of God. Let’s love this city to life in the next seven years. Our hopes for the next seven years go well beyond ourselves. 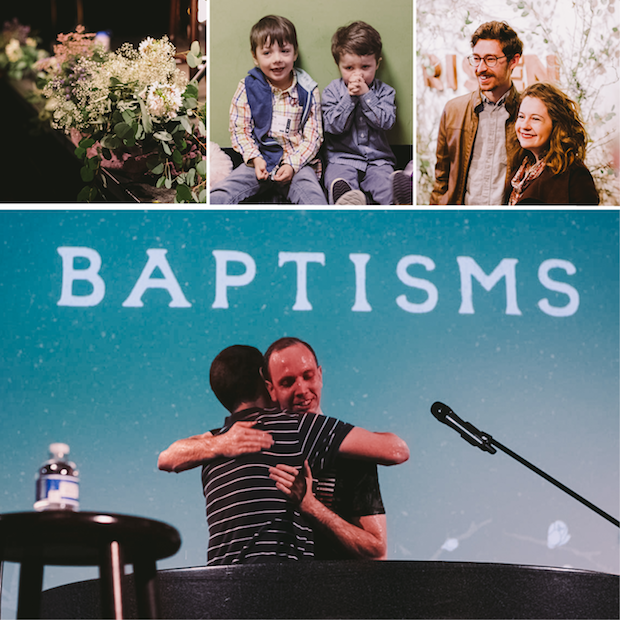 Over the last seven years, together, we have given hundreds of thousands of dollars to fund church plants around the world, including places like Brazil, Mexico, Ecuador, Turkey, Japan, and all along the west coast (from San Diego to Alaska). This is, in large part, due to our affiliation with the Acts 29 Network. We hope to do even more in the next seven years. 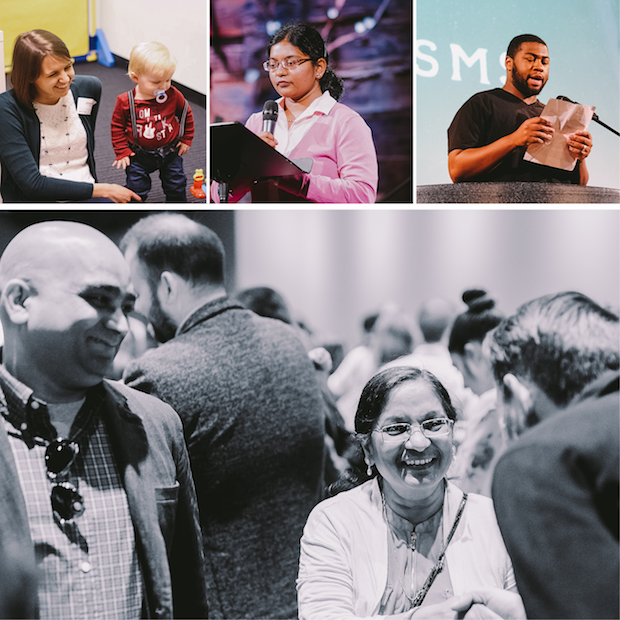 Even right now we are looking at developing a formal partnership with Radius, a training center for missionaries seeking to plant churches amidst unreached people groups around the world—three of our members are already involved. Will you join me in praying that the Lord will continue to grow us as a sending center for the sake of the world? I write all of this fully aware that, “Many are the plans in the mind of man, but it is the purpose of the Lord that will stand” (Pr.19:21). The Lord of all the earth will do what is right. Our role is to be faithful, while allowing the Lord to determine the fruit. Knowing that should cause us to pray big prayers and dream big dreams. This is not the work of one man, nor a particular group of passionate individuals—this is our work. This is the work of Jesus’ church—and we’re all gifted and called to participate in his unfolding drama of redemption (1Cor.12:4-30). Let’s enter these next seven years filled with faith, hope and love. “Come Lord, Jesus!” (Rev.22:20). You can find more photos from Good Friday and Easter on our Flickr page here. Praise Him for He is risen!